When quality counts this leather dog carrier is a great addition for the pampered pup . All snazzed it up with the nickel eyelets, studs and two side pockets that are a perfect size for tucking away extra items. 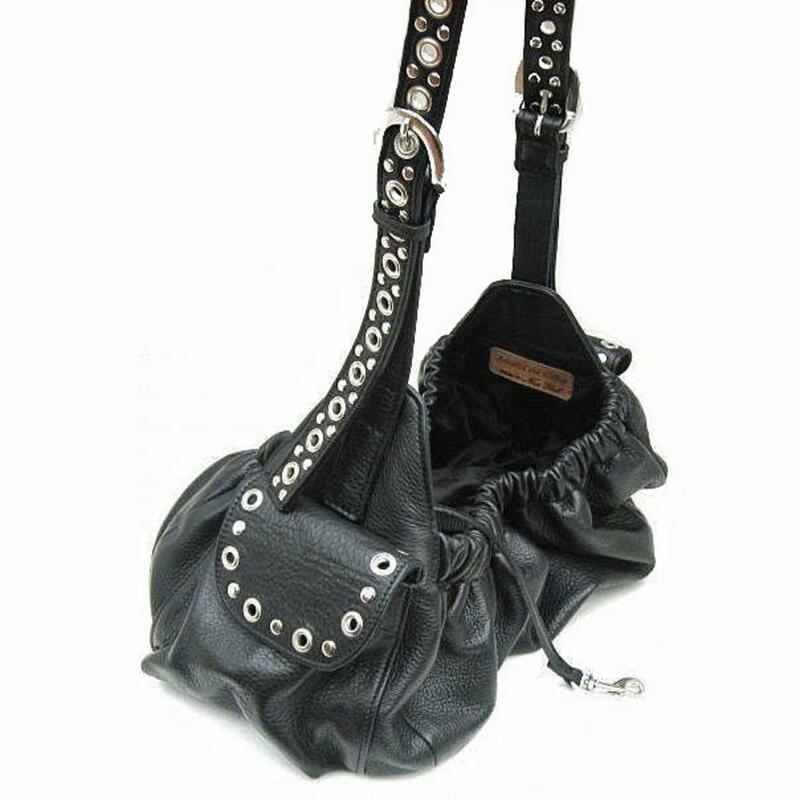 Straps are adjustable with two fashionable shiny nickel buckles. Inside you will find a plush lining. Strap length is adjustable from 40" - 55", small width is 1" and medium width is 1 1/4". 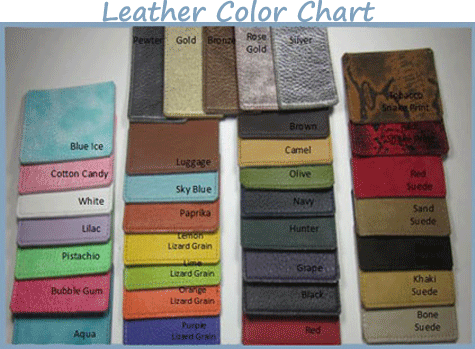 This is a custom leather ATC dog sling, you pick the color of the carrier, the color of the shoulder strap and the color of the lining. Please keep in mind that these dog carriers are all made by hand .The quality and attention to every detail of this hand crafted dog sling is truly unsurpassed and is worth the wait.We estimate delivery as approximately 4-5 weeks but will try our best to get it to you sooner. Custom items not eligible for exchange or return.